We have introduced a 'zone' called 'Big City'. The zone is a huge big city, and it needs buildings, parks, schools etc. Each part of the city is a 86x86 blocks square. 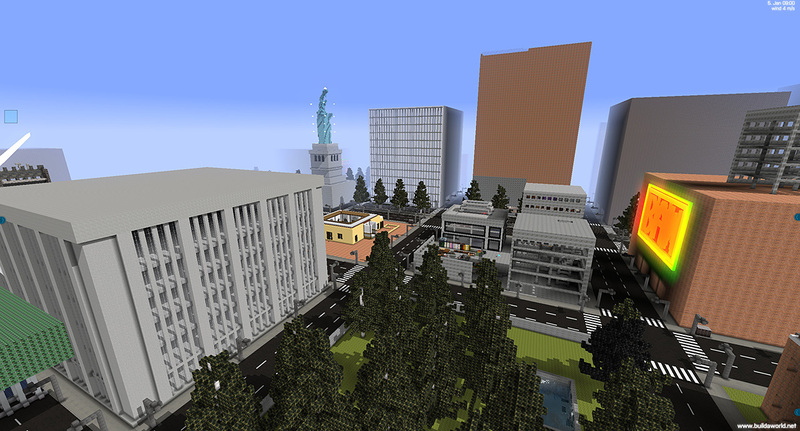 We need you to build anything that suits a big city, so we can populate the zones with all your great creations. Create a 'Big World', and find a Big City. Then use one of the squares to make your creation. Save the creation and when the Model Library is ready in the next version, then you can save it to the model libary, and then we can use your buildings and creations in the big cities. Feel free to post pictures here.